Boomer Band, 50's Rock-n-Roll Show Band , Portland, Oregon. 50's Band Rock & Roll Band Live Entertainment Portland Oregon. The official BOOMER BAND web site. Here you can find current show listings, band bio's, band products, audio & video clips, press release's and news articles about the Boomer Band. You can also find out how to book the Boomer Band for your corporate or personal event or get technical information about the Boomer Band's show set-up. Please stop by often, web pages are up-dated all the time! 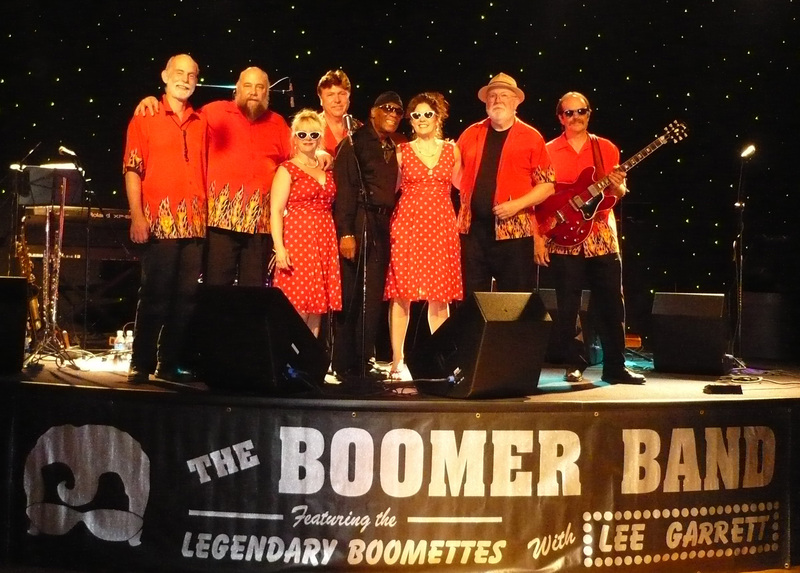 The Boomer Band's Show Features 50's Rock & Roll, 60's R & B and blues from their roots. If Your Looking For A Party or Dance Band of "HIGH ENERGY" , You Have Come To The Right Place! Boomer Band is a eight-piece band based out of Portland, Oregon area. We perform regularly for large/small events , fundraisers and weddings throughout Oregon , Washington & Idaho. Boomer Band has provided music and entertainment for weddings, corporate and special events for discriminating clients at some of the finest facilities and private residences in the Pacific Northwest. To review locations and clients we have entertained click here. Get the Boomer Band's on-line press kit, right here . . . .
Lee Garrett: Co-author with Stevie Wonder on the smash hit "Signed, Sealed, Delivered, I'm Yours", always delivers electrifying vocals. The Boomer Band work in the tri-state area which is Oregon, Washington, & Idaho. However sometimes they are asked to open shows for major act's in many other states. You can contact the Boomer Band using the below information for Booking, CD's, Band related material purchases, current Venue's or Technical Support by using our web site, mailing address, email or by phone.